PITTSBURGH, PA— U.S. Senator Bob Casey (D-PA), Chairman of the Joint Economic Committee (JEC), released a JEC report today detailing the high unemployment rate among Post-9/11 veterans and examining ways to help veterans bridge the gap between military service and civilian employment. Senator Casey unveiled the report, entitled Meeting the Needs of Veterans in Today’s Labor Force, at the Goodwill of Southwestern Pennsylvania Workforce Development Center in Pittsburgh. He was joined by representatives from the Veterans Leadership Program of Western Pennsylvania, Three Rivers Workforce Investment Board and Community College of Allegheny County. The report found that the unemployment rate among Post-9/11 veterans in April was 10.9 percent, compared to the overall veteran-unemployment rate of 7.7 percent. According to the report, nearly 2.5 million men and women have left active duty in the Armed Forces since September 2001. Of the Post-9/11 veterans who are employed, over two-thirds work in the private sector. Skills and experiences these veterans receive while on active duty make them good matches for employment in industries that experienced significant drops in employment during the Great Recession, including the mining, construction, manufacturing, transportation and utilities, information and professional and business services industries. Work is needed to improve the several federal programs currently helping servicemembers transition to the civilian workforce, the report finds. Two bills currently in Congress would expand and strengthen the government’s ability to help veterans find work. Senator Casey introduced legislation last week to modernize the Department of Labor’s Veterans’ Employment and Training Service (DoL-VETS) program. Earlier this month, Senator Casey cosponsored the Hiring Heroes Act to provide new job skill training to all servicemembers and create a new direct hiring authority so that more servicemembers have jobs waiting for them when they leave the military. WASHINGTON, DC— U.S. Senator Bob Casey (D-PA) today introduced legislation to modernize the U.S. Department of Labor’s Veterans’ Employment and Training Service (DoL-VETS) program to help servicemembers transition into the civilian workforce. According to the Department of Labor, more than one in five Iraq and Afghanistan veterans were unemployed last year. Senator Casey’s Transition Assistance Program Audit Act (S.1104) calls for an independent third party audit of the DoL-VETS program every three years to ensure that it is providing services that are up-to-date and useful in matching veterans to employers. The legislation has been endorsed by the National Guard Association of the United States (NGAUS), Iraq and Afghanistan Veterans of America (IAVA) and the Reserve Officers Association (ROA). “NGAUS strongly supports the Veterans Transition assistance audit bill. It is critical to monitor the strength and efficiency of the transition assistance bridge between our returning veterans and the VA services available to them their families in order to maximize the leveraging of VA assets in the reintegration process,” NGAUS said in a statement of support. 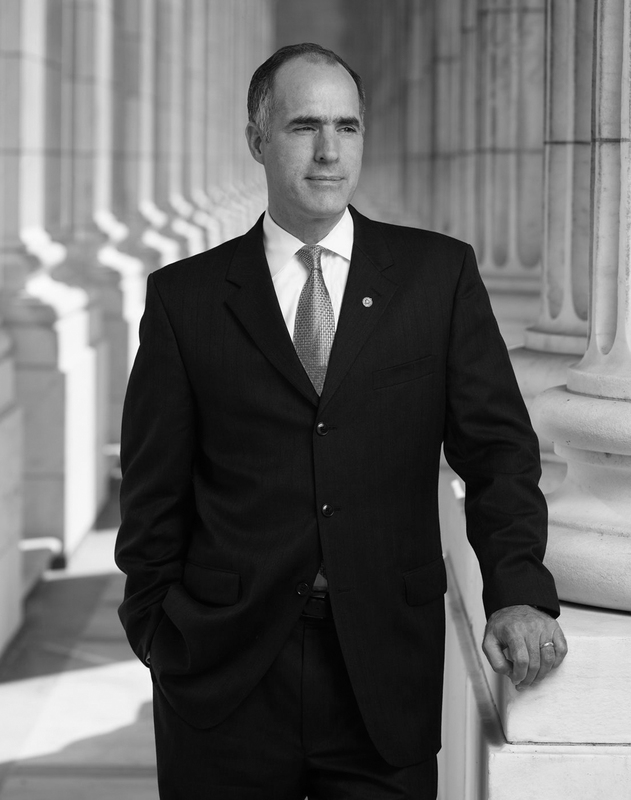 "IAVA strongly supports the TAP Audit Bill, as introduced by Senator Casey. We thank Senator Casey for his commitment and leadership on this issue,” Iraq and Afghanistan Veterans of American said. “If passed, this bill will be instrumental in ensuring separating service members are prepared and ready for the civilian workforce. As it stands now, over 200,000 Iraq and Afghanistan veterans are unemployed. And yet the military’s current Transition Assistance Program (TAP) is not mandatory for separating service members, not streamlined across bases, and has been described by our members as ‘archaic’ and ‘a waste of time.’ This is unacceptable. TAP must be relevant and effective – our brave men and women in uniform deserve nothing less. This bill would legalize the auditing of TAP every three years by a non-government agency, thus ensuring the program’s relevancy is keeping up with the demands of the current job market." “Since the veteran Transition Assistance Program varies from state to state the Reserve Officers Association believes its important and necessary to have a regular audits to ensure that the program becomes more standardized and effective across the nation,” the Reserve Officers Association said. HARRISBURG – Area residents eligible for the state’s Property Tax/Rent Rebate program now have until Dec. 31 to apply for the 2010 program, Rep. Martin Causer (R-Turtlepoint) announced today. WASHINGTON, D.C. – U.S. Senators Bob Casey (D-PA) and Barbara Boxer (D-CA) today sent a letter to Treasury Secretary Timothy F. Geithner expressing their strong view that Members of Congress should not be paid if the United States defaults on its obligations because lawmakers fail to increase the debt limit. The House is expected to vote on a debt limit increase later today. In the letter, the Senators point out that their legislation – S. 388, which prevents lawmakers from being paid during a government shutdown or if the government defaults on its debts – was unanimously approved by the Senate months ago, but has since been blocked by House Republicans. In the House, Rep. Jim Moran (D-VA) has introduced a similar bill. Prior to the 1995 government shutdown, Congressman Boehner expressed his support for this same legislation. There were Beacon Light staff and officials on hand last Thursday afternoon when an open house was held at Bridgeport Academy, 717 East Mill Street, to show off the facility’s nearly completed expansion and renovation. Also on hand was a representative of a major benefactor that had helped fund the year-long project. Inside, new quarters were completed and equipped, and older portions of the structure had been reconfigured and transformed. In fact, students had been brought back to BA in recent weeks, after spending most of the school year in rented quarters in the former North Penn Building downtown. Outside, sidewalks were still being paved, and lawn areas were still muddy and rutted, awaiting grading and other landscaping. A Beacon Light spokesperson explained that in the past, when students were discharged back to the sending school districts, they were provided with limited aftercare or follow-up. The expansion of BA enables the program to add psychiatric follow-up and therapy services. “Through the addition of various community-based programs, the site will operate as a ‘clinical home’ from which students will be able to transition back into the community and local school districts will have the necessary supports to succeed,” a BL announcement states. The community-based programming now provided include outpatient services, multi-systemic therapy (MST) and family-based mental health care. Instrumental in the expansion and renovation project was the George and Margaret Mee Charitable Foundation, based in Binghamton, N.Y., whose contribution of more than $200,000 helped fund the undertaking. Its president, John T. Rogers, was on hand for the open house, and accepted a plaque from Beacon Light in recognition if its pivotal assistance. Beacon Light has been operating an alternative education facility at that location for more than a dozen years, with IU9 owning the property. Last year the corporation bought that property and an additional four tenths of an acre needed to meet permitting requirements. The site now extends nearly to the southern bank of Lillibridge Creek. The extra land enabled Beacon Light to build a 2,500-square foot addition on the back of the original structure, which had been built as a modular home and modified. The local alt ed program served 10 students initially, but now serves 25. For the past several years Beacon Light has called the alt ed facility and program Bridgeport Academy. The Beacon Light spokespersons at the conditional use hearing stated that there were no plans to expand enrollment beyond 25. Since 1999 the facility had operated under an informal and temporary permission from the borough. The change in ownership and lot size and the enlargement of the structure raised the issue of zoning. Regular permitted uses listed for the R-2 zone do not include schools, but “Public and private schools” is listed among conditional uses. The difference between permitted and conditional uses, in the borough zoning ordinance, is that permitted uses are those allowed without any special permission or provisos, while conditional ones are allowed but the borough may attach conditions. A property owner planning a conditional use must apply for it, to give the borough an opportunity to attach conditions to that use if it sees a need. A condition the planning commission voted to recommend was that there be screening (preferably some kind of fence) along the west property line, between the academy and that neighbor. Also, the planning commission made its recommendation contingent on Beacon Light acquiring the needed additional land, and on its applying for an extension of time, allowing up to 60 days for the necessary transactions to be completed. The Port Allegany Borough Council then voted unanimously to accept the planning commission’s recommendation, granting the conditional use. Another stepping stone on the path to the expansion was a change in the agreements between Beacon Light and the sending school districts. Previous agreements had been one year in length, but last year BL requested and received five-year agreements from the sending districts. The school districts pay tuition for each student enrolled in Bridgeport Academy. Major revenues to the program include medical reimbursements or fees for the treatment components of the program. The sending schools are not responsible for those costs, which are covered by Medicaid, private insurance and families. Port Allegany, Otto-Eldred and Smethport school districts utilize Bridgeport Academy for provision of alternative education. The students are still considered to be enrolled at their home school districts. Those interested in participating in “Broadway on the Allegheny” are invited to audition beginning at 6 p.m. Monday, June 6, at the Port Allegany United Methodist Church at 307 North Main Street, or 6 p.m. Monday, June 13 at the Coudersport Episcopal Church. The proceeds from the upcoming production will benefit the swimming pool rehabilitations in Port Allegany and Coudersport. COUDERSPORT—Governor Tom Corbett and the legislature may be prepared to eliminate funding for the Pennsylvania Conservation Corps. Not so, Potter County officials say. And, ironically and coincidentally enough, a regional instance of the Civilian Conservation Corps legacy organization is gearing up even now. And organizational meeting will be held at 11 a.m. Saturday, June 4, at the Renovo Fire Hall. As to the possible defunding of the PCC, Potter County Commissioners are adamantly opposed to that provision, or non-provision, of the state budget for fiscal 2012, in its current form. Heimel points out that some of those local institutions are the state’s own facilities, including state parks, state forest land and the Pennsylvania Lumber Museum. One community organization dear to Heimel’s heart is the Austin Dam Memorial Association. The local author’s latest book, “1911, the Austin Flood,” is about to be released. And of course, the Austin Community and the Austin Dam Memorial Association are coming up on their centennial observance of the devastating dam failure and resulting flood, the state’s second worst such disaster and the nation’s sixth in rank. Also on the list Heimel mentioned are the Potter County Fair Board, and area municipalities including Coudersport and Galeton boroughs, which have benefited from PCC. “The ‘return on investment’ of state funds in the PCC is well documented and does not even take into account some of the cost avoidance factors that would come into play as PCC members progress through adulthood,” Heimel points out. The commissioners report that they have received affirmations of support for the PCC from State Senator Stewart Greenleaf and State Representative Martin Causer. “We have sent letters and made phone calls to all members of the Senate and House Appropriations and Labor and Industry committees, as well as the Governor, urging the continued state support of the Pennsylvania Conservation Corps,” according to Heimel. PCC provides members with temporary employment, job training and career guidance, while members contribute valuable public service work. As for the long defunct federal program that first coupled the terms “Conservation” and “Corps,” its accomplishments dot the area landscape, surviving in existing as well as vestigial roads and bridges, campground facilities and even forests planted by CCC workers. The proposed new Civilian Conservation Corps Heritage chapter would take in 15 counties: Potter, McKean, Cameron, Elk, Centre, Clarion, Clearfield, Forest, Clinton, Cambria, Lycoming, Indiana, Jefferson, Tioga and Warren. Conceived as part of President Franklin D. Roosevelt’s program for recovery from the Great Depression, the CCC employed thousands of otherwise jobless men. Beginning in 1937, numerous CCC camps were active in what has since been defined as Pennsylvania’s Lumber Heritage region. Susquehannock State Forest alone had 10. CCC teams helped create Cherry Springs State Park, and Lyman Run had a camp as well. Many of the young men who had served their country in the CCC went on to serve in the armed forces, after the United States entered World War II. Memorial Day Services - Harry Niece is pictured dropping flower petals into the river during a Memorial Day Service held on the Brooklynside Bridge. Also participating in Port Allegany Memorial Day services were Mike Hadden, Commander of the American Legion, Chuck Smith, Commander of the Veterans of Joe Knell, Sargent of Arms, Chaplin Eugene Lewis and Honor Guard Members Mike Hardes, Smiley Kio, Kenneth McKervey, Russell Main, Dek Kanally, Harry Niece and Larry Seybert. Those ceremonies were held on the Town Square and at the Port Allegany Cemetery. More photos from Memorial Day Services will appear on this week's picture page. Honoring Our Veterans - Memorial Day Services were held on the Brooklynside Bridge, the Town Square and at the Port Allegany Cemetery. Music for the Town Square Ceremony was provided by the Port Allegany High School Marching Band under the direction of Brad Stewart. Mike Hadden, Commander of the American Legion, served as Master of Ceremonies. Guest speaker was Don Martin. His message, in part, was as follows, "We hear those terms like "they gave their life for their country" and "they gave their all" and we call them heroes and they are, but did you ever stop to think what they really gave? They gave all the things we enjoy in this life, all their future and all the happiness we enjoy in this great country. They gave all that and much more of life in return for those freedoms we sometimes seem to forget the price that has been paid for them."... "When you lose a comrade in war it never goes away and is never far from your heart. Even after 40 or 60 years, it seems like yesterday. And for all their families, the hurt never goes away completely. That's the price of freedom"..."What all of you are doing today is one way of reminding those families and those of us who have seen our comrades die that they are not forgotten and never will be. When you take this time to remember and thank them you are showing them the honor and respect they deserve. And, I for one, am proud of each and every one of you here today." The Supreme Sacrifice Honor Roll was read as follows: World War I - Frank G. Burt, Charles Burch, Orlo Chafee, William F. Dunn, Fay Fessenden, Gregg Green, Glenn Henderson, Edwin Johnson, Hilding Johnson, Eldredge King, Collins Thomas, Charles Lambert, Lawrence Meacham, Harold O'Connor, Flloyd Main, Arthur L. Nelson, Thomas Smith, Eldwood Wicks; World War II - Roand B. Johnson, Lt. Flloyd E. Card, Staff Sgt. Nelson McCloskey, Staff Sgt. George Modski, Pfc. Harold Jackson, Pvt. Max Chilson, Virgil Kinney, Pfc. George Papageorgio, Sgt. Fred Brockel, Lt. James McMahon, Walter Vanscooter, Pvt. Paul Connor, Lt. James Shevak, Pvt. Donald Gustafson, Pfc. Jack Ness, S2C. Gail Chapin, Pvt. William Haglund, Daniel Reed, Pvt. Herbert Dolaway, Cpl. Eldene Bosworth, Pfc Charles Tully; Vietnam - Floyd Studer, Gerrith Kibbe, Albert C. Bachman, Jr; Afghanistan - Lt. Col. Richard Berrettini; and Peacetime - Austin P. Duffy, Robert Razey, Theodore Ireland, Joel Gamble, George Luce, Wesley VanDorn, Jerry Thomas and Lt. William Daisley, Jr.
Wreathes were placed at the Memorials on the Town Square by Chuck Smith, Dek Kanally and Mike Hardes. Taps was played by Jacob Stehle and the drum roll was played by Dylan Bowers. Following the ceremony on the square, the Honor Guard went to the Port Allegany Cemetery for a short service before traveling to the Veterans Memorial Building for a luncheon provided by the Auxiliary. Graduation Sunday - The top four students at Port Allegany High School will speak at this year's commencement exercises to be held Sunday, June 5 at 2:00 p.m. in the high school auditorium. Those students are (pictured left to right) Carli Johnston, Kenneth Kysor, Bryanna Evens and Brock Bricker. May Unsung Hero - Harold Barnard (second from right) is pictured with his son-in-law and daughter, Jim and Marion Grove and son, Michael, following the announcement of the UMC SS May Unsung Hero Award. The presentation was made May 29 during the morning worship service at the Port Allegany United Methodist Church. May Unsung Hero Named - Harold Barnard was named as the United Methodist Church Sunday School Unsung Hero for May 2011. The presentation was made during the morning worship service by Adult Sunday School teacher, Susan Roboski who read the following, "It is the last Sunday of the month and time to once again name an Unsung Hero. Today’s recipient was actually nominated some time ago. We had hoped to surprise him, but instead he surprised us by not being in church that Sunday. It all worked out for the best, however, because as a veteran of the United States Navy, it seems fitting to honor him on Memorial Day Weekend. The Unsung Hero for May 2011 was nominated for his years of service as the Sunday School Treasurer as well as serving on other committees such as Pastor Parish and the Board of Trustees. He’s also been associated with the Allegheny Mountain Engine and Implement Association serving as Treasurer and Head Groundskeeper and is still a member of the board of directors. As a member of the Adult Sunday School Class, he was known as one of the best coffee makers around. Our May recipient is Harold Barnard". To nominate an Unsung Hero in your life, contact Pam Fischer at 642-7514.